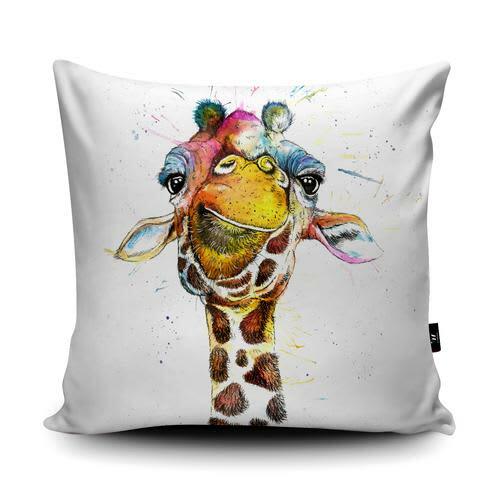 This Splatter Rainbow Giraffe printed cushion is designed by Katherine Williams and produced by Wraptious. The super soft faux suede cover comes complete with a fibre insert and a plain charocal reverse. Perfect for jazzing up your sofa.